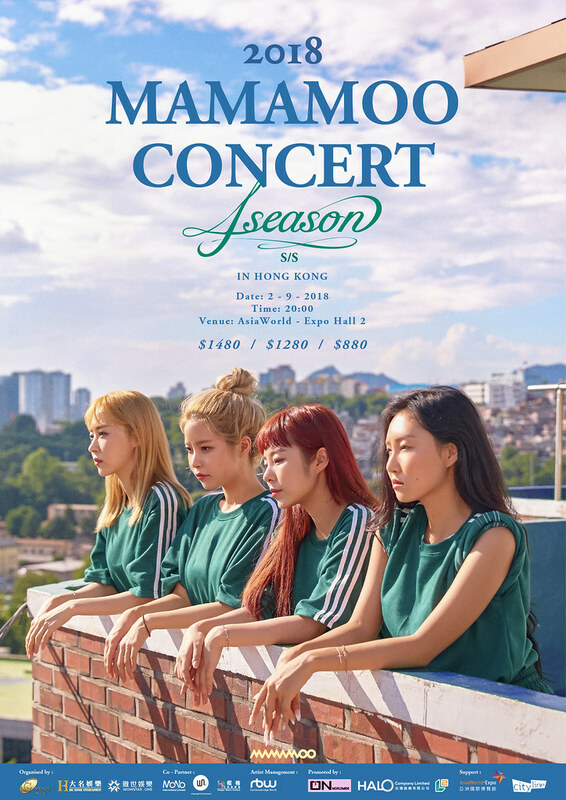 Hong Kong, 2018 – Good news for Hong Kong fans of Mamamoo as they will be visiting on 2nd September 2018 with ‘2018 MAMAMOO 4season s/s Concert Tour in Hong Kong’! Following their concert in Taiwan, Hong Kong is currently their second overseas stop. Tickets to this concert will go on sale on 31st July, 10am and are priced at HKD$1480, HKD$1280, HKD$880. There are also some fan benefits for certain categories of ticket holders and the organiser will announce the details on a later date.